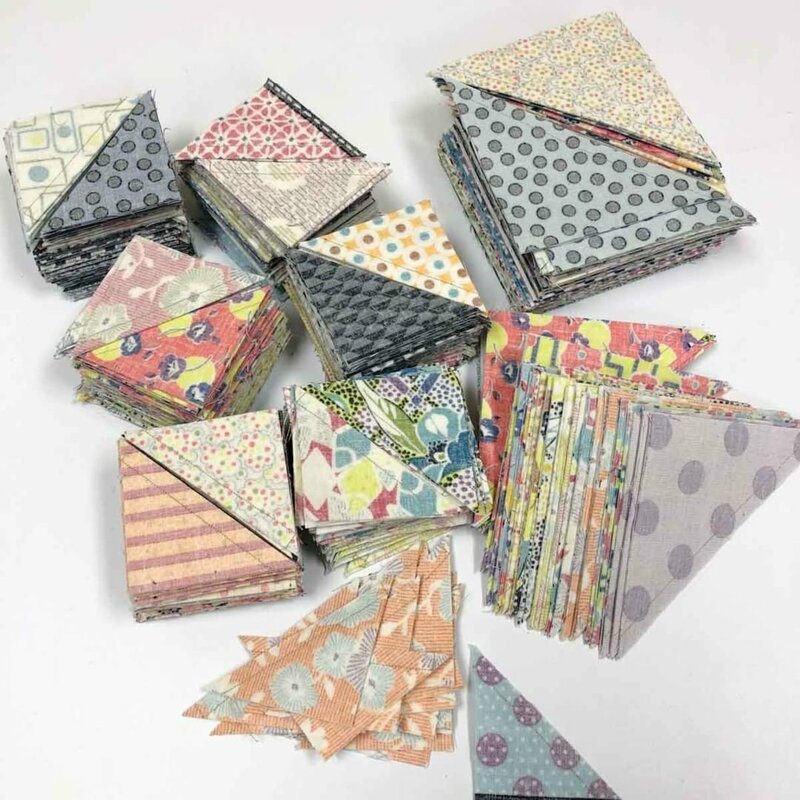 Carrie Nelson from Miss Rosie’s Quilt Co is the creator of the fabulous Moda Cake Mix Papers. Amitie are pleased to be hosting Carrie all the way from Texas for a day to demonstrate how these incredible foundation papers can change the way you prepare and cut triangles. Cake Mixes are designed to be used in conjunction with 10” sq layer cakes and with 12 different ‘recipes’ to choose from there are a multitude of arrangements available to create many different designs. Come along to see Carrie demonstrate how to use these papers and be blown away by how quick and easy making triangles can be. Carrie will be demonstrating Cake Mix 7 and 9. Whilst this is a demonstration, attendees are welcome to bring along their machines to test out the papers whilst Carrie is here to assist. There will be 10% off Cake Mixes and Layer cakes on the day.